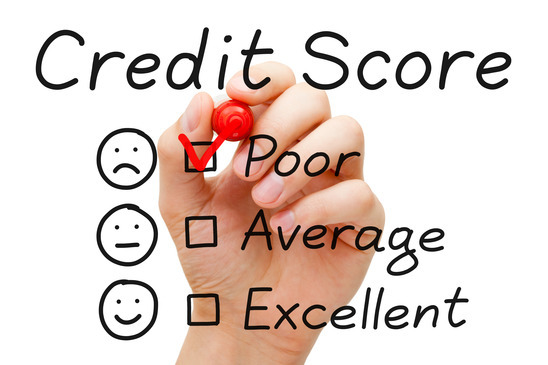 Best News Ever For People With Low (Or Zero) Credit Scores! HomeBlog BlogBest News Ever For People With Low (Or Zero) Credit Scores! What this means is if you have a credit score of 700 or above you should be able to get just about any credit you would want whether it’s a new credit card or auto loan. On the other hand, if your credit score is below, say, 500 good luck. You’ll have a problem getting a new credit card and if you are able to get one it will likely have a very high interest rate. What if your credit score is zero? A credit score of less than 350 probably means you’ve been a reckless spender but a zero doesn’t mean this. What it means is that potential creditors just don’t know what to do about you. In the past if you wanted to have any sort of a score you would need to have had a debt and paid if off. We know this might sound counterintuitive but the fact is that you need to have debt to have a good score. To have any score at all, you need to play by the rules, which includes having and paying off some sort of debt. If you have a credit score of zero you haven’t proven your ability to borrow money and pay off loans as quickly as possible. There is the best news ever for people with low credit scores or a credit score of zero. A new plan is being rolled out that will make it easier for these people to get a Visa or MasterCard. FICO, the company that invented credit scoring and whose scores are used by 90% of all lenders, has a pilot program designed to help millions of us get easier access to credit. This is because it will be based on their record of paying utility bills and not their history of making loan repayments. It is estimated that 53 million Americans don’t have a credit score and could be reached by this program. That’s about one fourth of the US adult population. Banks typically deny credit to anyone that doesn’t have a credit score or they charge them dramatically higher interest rates because they are viewed as being risky. It took two years to develop this new program. It’s based on the idea that people that have a history of paying their utility bills on time would also pay credit card bills on time. The way it will work is that FICO along with LexisNexis and a credit bureau Equifax will use a person’s utility bills and public property records to create a payment history profile. This pooled data will then be used to determine what’s being called an “alternative” credit score that will be applied when a person with a zero credit score or a poor credit history applies for a Visa or MasterCard. While it is known that FICO will make the scores available to the 12 largest credit card issuers it is not known at this time, which banks will be participating. If you have a bad credit score this new program might help you get a new credit card. If you have a poor or bad credit score there are some things you could do fairly quickly to improve it. The first is to start using that old card that’s just been sitting in a drawer. The older a credit history you have the better. If you had stopped using that old card your card issuer might choose to close your account or not update it to the credit reporting bureaus. The accounts will still be there but won’t have as much weight in the credit-scoring formula as your active accounts. You could improve your credit score by charging a recurring bill to that old card or by taking the family out for dinner and a movie occasionally. Of course you will need to pay off your balance in full every month. Second, you should dispute old negative items in your credit reports. Let’s suppose you got into an argument with your utility company regarding a bill several years ago and as a result the account went into collection. This gets a bit sneaky but you could dispute a bill like this as “not mine.” If it’s an old and a small account and you dispute it, the collection agency might not take the time required to verify it when it’s investigated by the credit reporting bureau. If you have significant errors in your credit reports you need to focus on them. The things that are really worth the time and effort to correct include late payments, collections, charge-offs or other negative items you believe aren’t yours. You should dispute it if you see credit limits that were reported as lower than they really are, as well as any accounts that were listed as “paid derogatory,” “settled,” “settled for less than owed” and any other items that isn’t listed as “paid as agreed.” You should also dispute negative items that are more than seven years old (or 10 in the case of bankruptcy) as they should have dropped of your reports automatically. The second most important factor in your credit score is your credit utilization or debt-to-credit ratio. It accounts for 30% of your score and is something you can control – unlike your credit history. The way your credit utilization is calculated is by dividing your total credit limits into to the amount you’ve used up. Let’s say that you have total credit limits of $10,000 and total balances of $2000. This would yield a credit utilization score of 20%, which would be considered very good. On the other hand, if you had balances totaling $5000 of that available credit your debt-to-credit ratio would be 50% and would be having a very negative effect on your credit score. There are two ways you could improve your credit utilization. The first would be to pay down some of that debt. Again going back to our example of $10,000 in total credit limits with total balances of $5000 if you were to pay it down by $2000 your debt-to-credit ratio would drop to 30%, which would definitely have a positive effect on your credit score. If you are unable to do this you might be able to get your credit limits increased, which would have the same effect as if you had paid down some of your debts. Finally, here’s a helpful video with more good tips for quickly improving your credit score.